Just wanted to write a quick note to let everyone know that I went on vacation for a few weeks. We are remodeling our kitchen, so I've been busy picking out paint colors, counter tops, etc. Add in Christmas festivities and I am maxed out. I'll be back next week with new posts and lots of new products. I am really excited for 2012...we'll be celebrating our 5th Anniversary here at Salvage Life, we've got a new intern starting in January, lots of new ideas and some big news! Hope you are all enjoying your holidays, see you soon! 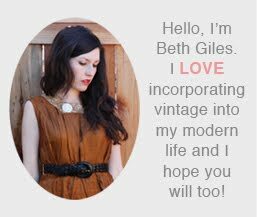 Exciting to hear from you, Beth! Glad to hear your well and the renovations are going good too. Happy new year to you.